Regensberg Castle is a hill castle which was built about the mid-13th century by the House of Regensberg. Regensberg was designed as a fortified castle town and built by then modern contemporary criteria. The so-called Upper Castle (Oberburg) comprises a rectangular plaza as main square which is surrounded by two rows of houses; a 57 m deep water well was carved into the limestone. 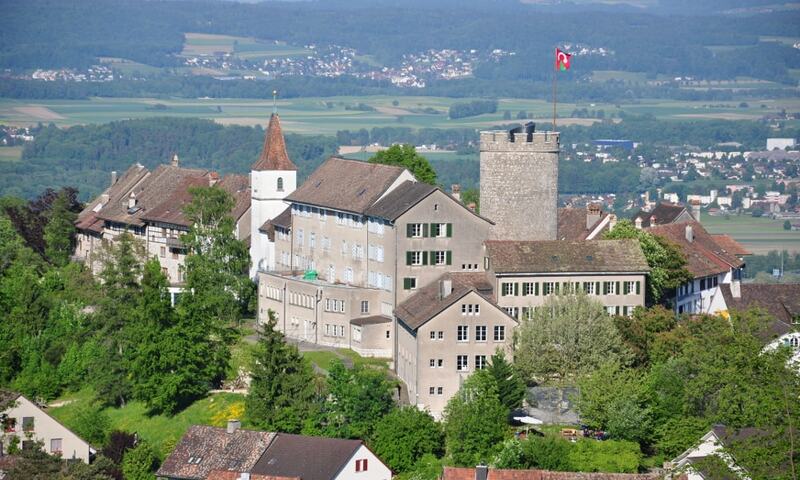 The Lower Castle (Unterburg) was probably built in the 14th century nestled at the castle's hill outside of the town wall. Therefore, it was not involved in the modernization of the upper castle in 1689.